From Saturday 2nd September to Monday 25th September 2017. 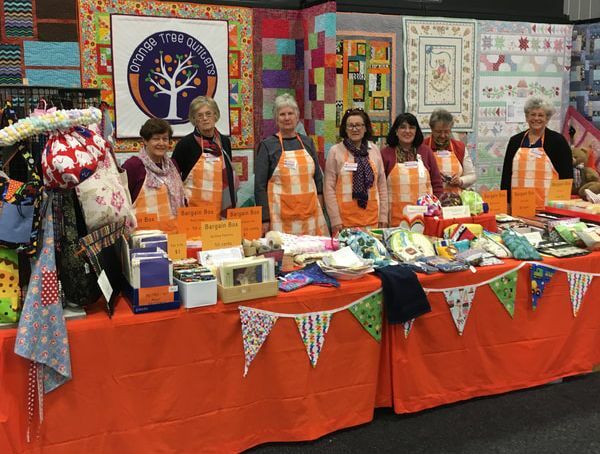 The Orange Tree Quilters (OTQ) was established in May 2015. Our members come from far and wide, from Findon to Aldgate, McLaren Vale to Gawler and everywhere in between. We chose our name because orange tree represents "generosity" . 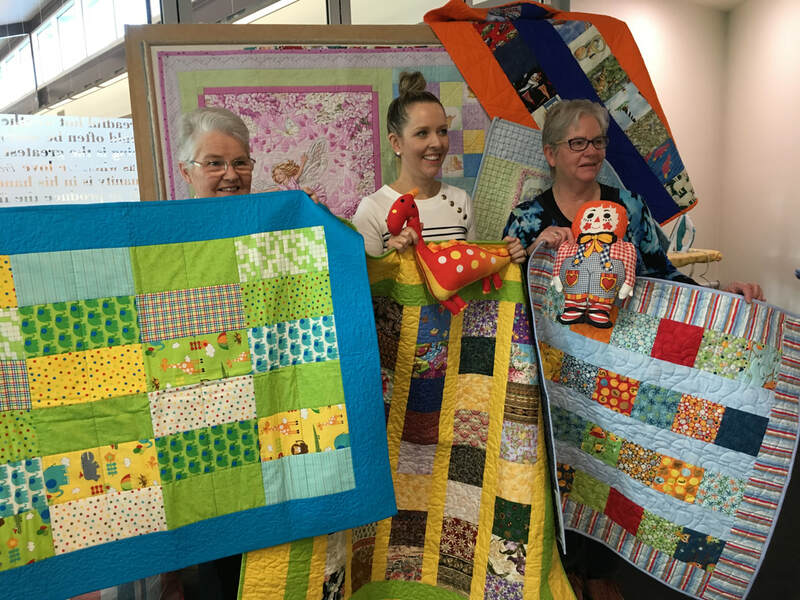 OTQ is an affiliated group of the Quilters Guild of South Australia and we donate our quilts primarily to children in the community. We will be welcoming the Guild President Christine Baker to officially open the exhibition at 2 pm on Saturday 2nd September. In the past twelve months alone we have gifted 179 quilts. Since May 2015 we have donated hundreds of quilts to the following organisations - HeartKids SA/NT, West Torrens Council for their people in the Community, David Rusk Orphanage in Nepal - After the devastating earthquake, the children were sleeping in the Veggie patch for many weeks as they could not return to the building. Girl Guides Young Carers Camp, Women’s Shelters, Domestic Violence Units, Women’s & Children’s Hospital, Cystic Fibrosis, Asperlutely Autsome, where 20 children accompanied by their carers went on a camp, Love Hope and Gratitude, Neonatal Unit, Ronald McDonald House and to charitable organisations for their raffles. In addition to the above we also make Isolette covers and Little Quilts of Love for Women’s and Children’s Hospital. Our group has about 40 members, however we have many lovely ladies sewing at home and donating whole quilts or tops ready to be quilted. Much of the fabric we use for the quilt tops is generously donated by fellow quilters, but we rely on our own fundraising to purchase batting, backing and some fabric. Our inspiration comes from the fabric that is donated and our creativity begins to flow, we make beautiful quilts and we are sure there are so many children around Adelaide who are warm and happy under their quilt. Oh did I say we are a very modest group? I can say most of us are retired as there is no time to go out to work! 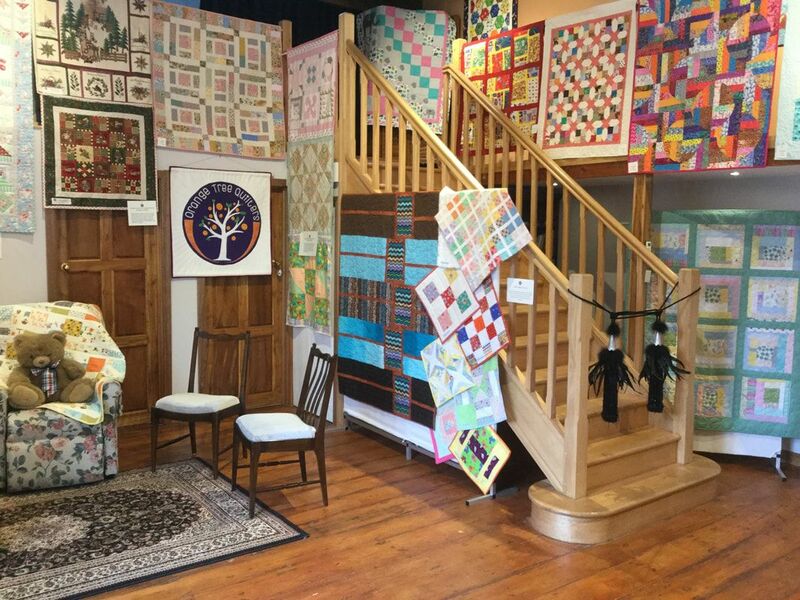 A little past history of Orange Tree Quilters. June in 2016 we held a very successful Exhibition in the auditorium at the Hamra Centre Hilton. Christmas 2016 we held a luncheon at the Hamra centre attended by the Mayor of West Torrens Council Mr john Trainer. January 2017 we hosted a Bedford Mystery Quilt Workshop with 26 ladies attending, raising funds not only for Bedford Industries but for OTQ too. Each year we have had a trading stall at the Stitches Sewing and Hand Craft Show where we invite the public to come and sew scrappy blocks to later be made into quilts. The children love to take part in that event. In March OTQ were invited to cater for the Quilters Guilds Country Forum. It was a lot of work but it went off very well. Sewing days are in the Sunroom at the Hamra Centre, West Torrens Library, 1 Brooker Tce, Hilton every second Friday from 9.30am to 3.30pm. Morning tea is at 10.30am and we are happy to welcome visitors or new members. We appreciate all help that is offered. It is almost the end of the year with only 7 more sewing days left and many more quilts to finish, but we will get there as we have an amazing team of dedicated ladies, and we thank all of our volunteers. 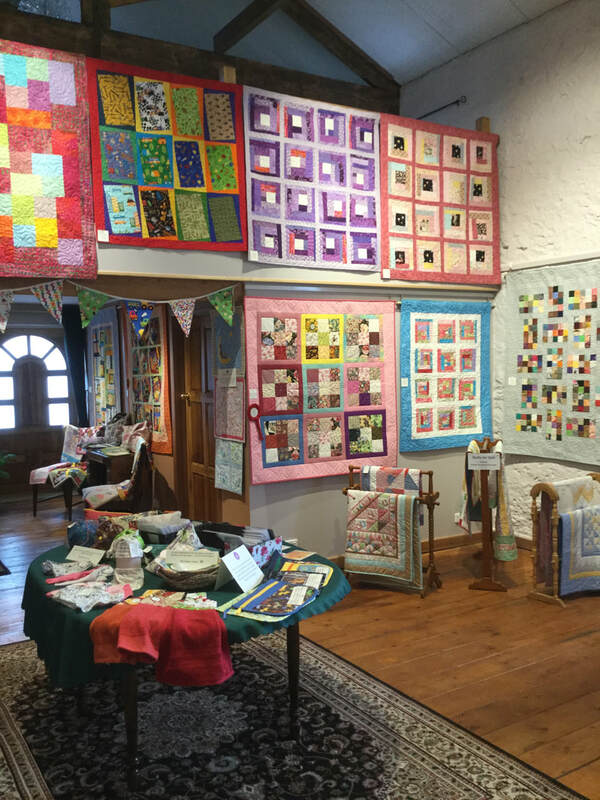 Just a few of the quilts on display. ... and some items for sale. Sam from Ronald McDonalds House with members Gwen and Peg, showing a few of the 30 quilts and some toys given to RMDH this year.